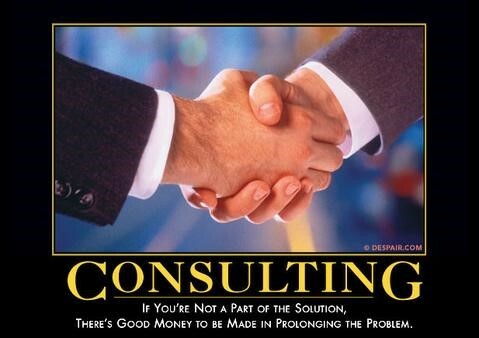 There are plenty of jokes about consultants that are funny because they unfortunately are often accurate. • 2009--Contracted as a consultant for a year by a start-up to set up a new shared services center. Saved this company about $500K annually. • 2010--I was referred by the President of the start-up to the Chairman of a publishing company on Wall Street, to analyze their distribution function. We outsourced and saved this company about $1.5M annually between labor and freight costs. • 2011 - 2014--Because of the quality of work as a distribution consultant, my contract was renewed 5X over 3.5 years. I was named their CIO, to completely revamp their IT function plus help the Chairman/COO with other projects such as marketing and digital product development. • 2014--After Manhattan, I helped a very unique business find an ERP/MRP system. This company produced one-off, engineer-to-order, manufacture-to-order, 80 foot long, mini-robotic assembly lines that would produce everything from packages of razors to biotech disposal bags. • 2015 - 2018—I was referred to a Marlborough, MA based IT reseller seeking to sell more services. I helped them set up their managed services department, then was hired to be a consultant for their major accounts. • In between I helped analyze an IT department for a TX software company going through an IPO, and developed a strategic IT plan for an international publishing company. Here’s another old joke about consultants—a consultant is someone who asks to see your watch, and then tells you what time it is. Why I’m different: If you work with me to solve a business issue, I won’t have to see your watch over and over because I have years of experience and have already seen a lot of watches. For instance, if you go with a major consulting firm, you’ll get a rookie right out of college, albeit most likely from a top school. However, this person has never worked in a business environment, so you’re going to have to show him your watch over and over and over…..here’s how we enter an order, here’s how the system stores GL numbers, and here are the customer master tables, etc. At the end, we’ll both tell you what time it is, but in my case the time will be whole lot closer to when I began, and time is literally money when you’re paying by the hour. And speaking of money, one of my favorite parodies twists the song “Time After Time” by Cindy Lauper into “I’m Billing Time”. It’s sort of funny (but don’t expect hilarious). 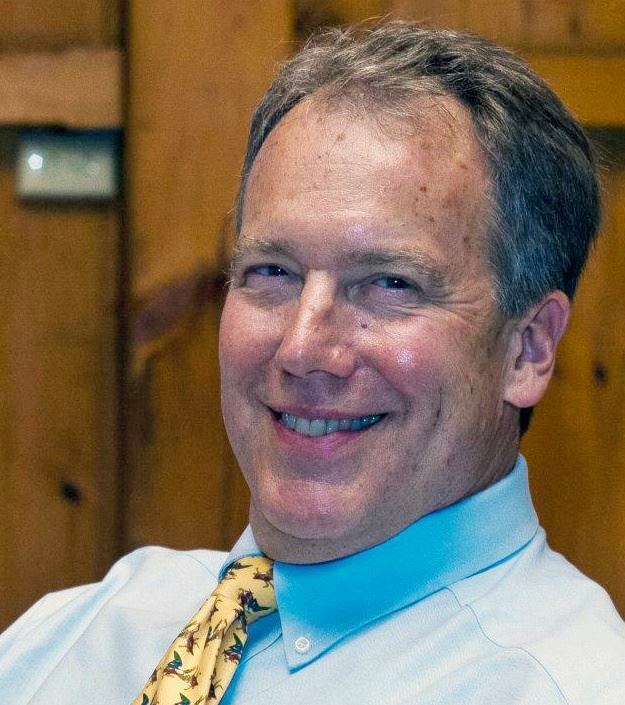 Why I’m different: I bill by the hour too, if that’s what the client prefers, but I prefer a contract for a set number of hours—I don’t have to keep track of every fifteen minute increment, and you’ll get a lot more bang for your buck. And, even if I do bill by the hour, I use less hours in discovery because I’m only learning what’s unique, not how all businesses works, and if I run into something I should know but don’t, I don’t charge to figure it out. Plus, I’m not supporting an entire infrastructure of management, leases for fancy offices, and other costs like the big firms have. I work out of my house and I’m not paying any support staff. The result is that my rates are lower and the results are better. Think of it like this……maybe your firm has always used a big firm in the past, with good or OK results, but that doesn't mean it's the best approach. 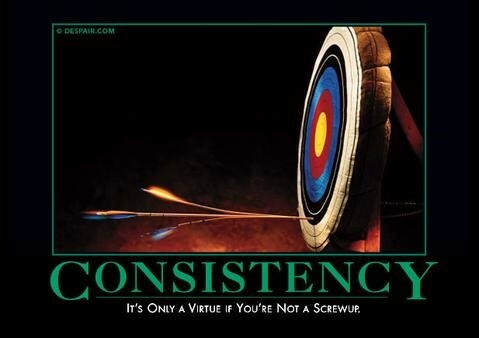 The poster below applies to that phrase that drives managers crazy: "It's how we've always done it". Maybe try a new approach to hiring a consultant.